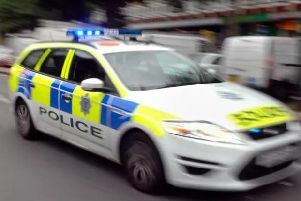 The two elderly people who died in a crash on the M40 in Oxfordshire after their car drove the wrong way down the motorway while towing a caravan have been named. John Horton, 80, and Olive Howard, 87, both from High Wycombe, were killed when their Subaru Forester was involved in a collision with a Ford Mondeo and a Ford Focus near junction six on October 15. The driver of the Mondeo also died – he was formally identified last week as Stuart Richards, aged 32, from Stockport, Cheshire. Thames Valley Police has referred itself to the Independent Office for Police Conduct because a damage-only road traffic collision in High Wycombe involving the Subaru Forester was reported to the force on October 10.